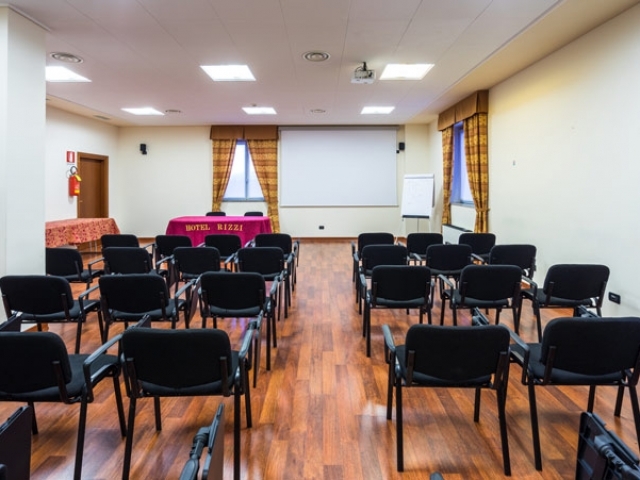 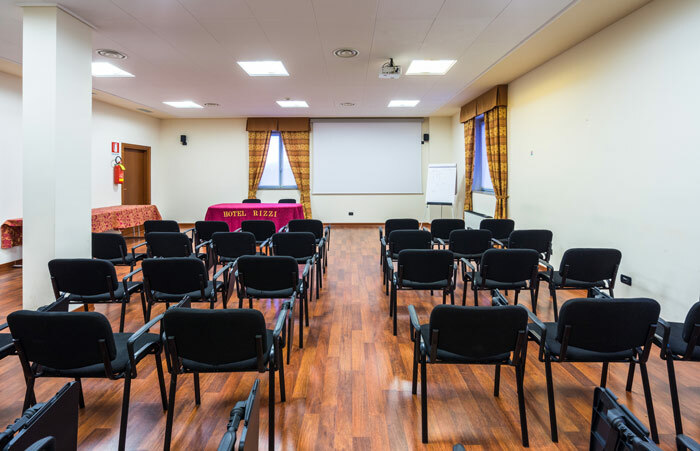 Hotel Rizzi offers a meeting room equipped with all the latest technological equipment in order to satisfy the requests of the world of work. 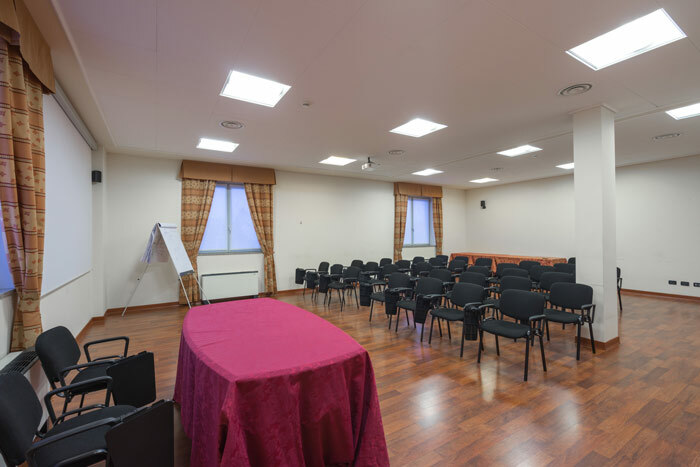 Our meeting room is suitable for seminars, business meetings or for multimedia presentations. 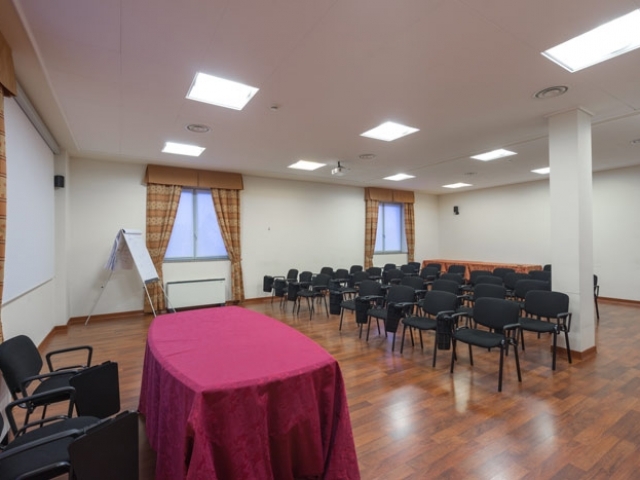 Possibility of a projector, a sound system, Wi-Fi connection and Internet cable.